Here is an easy way to undergo a professional hypnotherapy session from anywhere in the world with Certified Clinical Hypnotherapist Tracy Lee Thompson ACCHT. Tracy is registered member with the American Hypnosis Association and is in good standing. These days, we are so busy, it is difficult to find the time to work on ourselves, let alone find the time to schedule a hypnotherapy appointment, that works with your schedule. 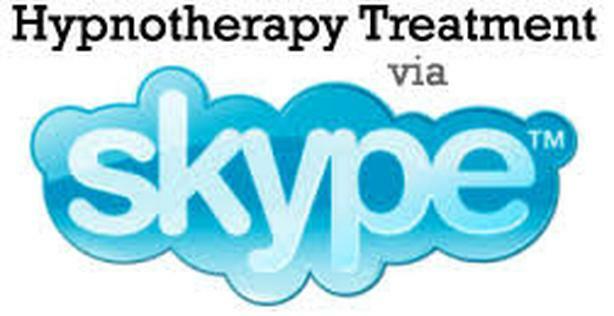 Hypnotherapy via SKYPE gives you that flexibility to fit in an appointment at a time that is convenient for you! Enjoy the lasting effects of hypnotherapy from the comfort of your own home or office. Imagine being able to sprawl out on your own couch or bed, or create your own ideal spot wherever you are! You get to create the ideal environment for you, so you can relax right into your session. Leave the traffic behind. No rushing to get to your appointment. You may choose to have your session at home, in your office before a big meeting, or even while on vacation! There are many different reasons that clients contact us for hypnotherapy by SKYPE and they are: stop smoking, losing weight, helping you to sleep better, pain management, anxiety, fears, as well as self - confidence and self-esteem, public speaking, athletic performance and so much more. Disclaimer: No claim is made to cure any medical condition or change a situation. Hypnosis and Hypnotherapy strategies are not intended as a substitute for any medical or psychological treatments you may be in need of; by receiving Hypnotherapy it is an alternative path to health and happiness.